You will love this incredible and unique location bordering the Broomfield County Commons Open Space Park and Trails. Great mountain views and a front-row seat for the 4th of July fireworks show. Private cul-de-sac location. Desirable floor plan w/main floor study, 4 BRs up, finished basement, oversized 3-car garage and mature backyard. Extensive hardwood flooring on main floor. Spacious eat-in kitchen adjoins bright, vaulted family room w/brick fireplace and built-in shelves. Formal living/dining rooms. Master suite with bay window, 5-pc bath and walk-in closet. Main floor laundry room w/utility sink and cabinets. Finished basement features open rec room, wet bar and 3/4 bath perfect for entertaining. Sunny backyard w/large stamped concrete patio overlooking open space. Amazing oversized garage for extra storage. You don’t want to miss this opportunity. 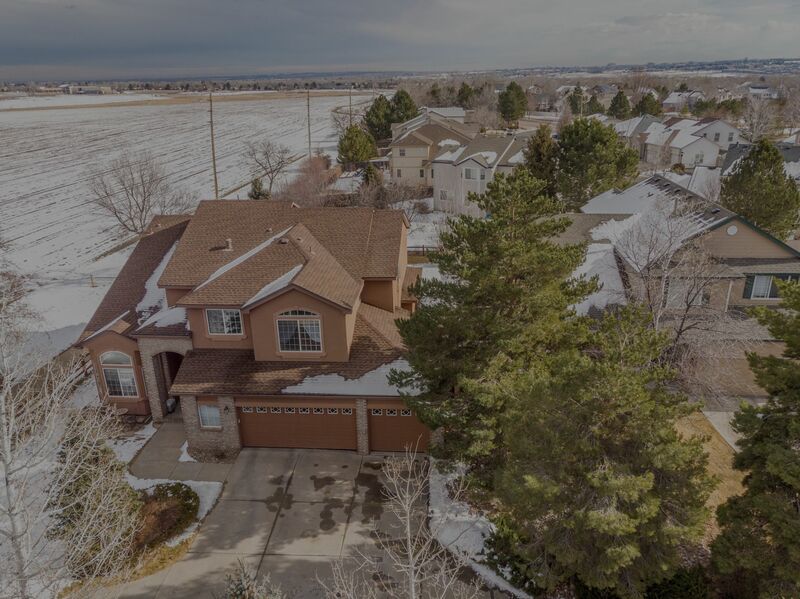 Great central location with great commuting access to Denver/Boulder and airport, rec center, dog park, shopping, parks and more.